Long Story is a brand new (2019) Fountaine Pajot Saona 47 offering 4 queen cabins and one bunkbed cabin for kids or crew. All 5 cabins have ensuite freshwater electric heads with separate shower stall. 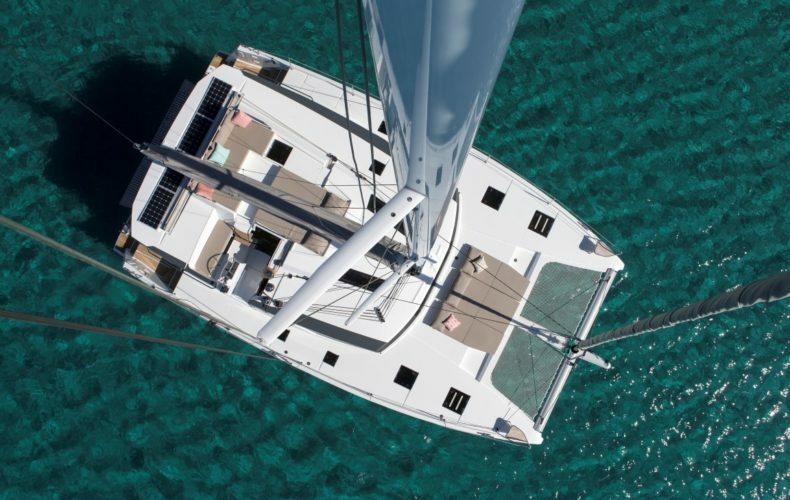 The Saona 47, a performance cruising catamaran, offers three levels of usable space to give cruising sailors plenty options while having an extensive sailplan for passage making. Distinguishing features on the Saona includes its spacious lounge deck and a hydraulic swim platform for those long days at anchor. Long Story offers many extras like a hydraulic swim platform, underwater lights, solar panels, watermaker, cockpit cushions, cockpit fridge and A/C throughout. All photos are stock photos, courtesy of Fountaine Pajot.